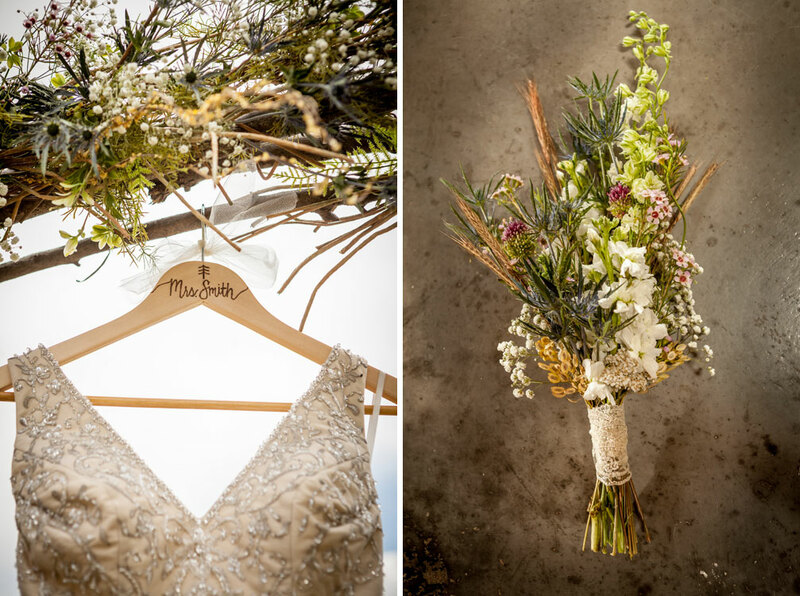 From the bride: I always wanted an outdoor wedding in the summer, but not in hot and humid Oklahoma. 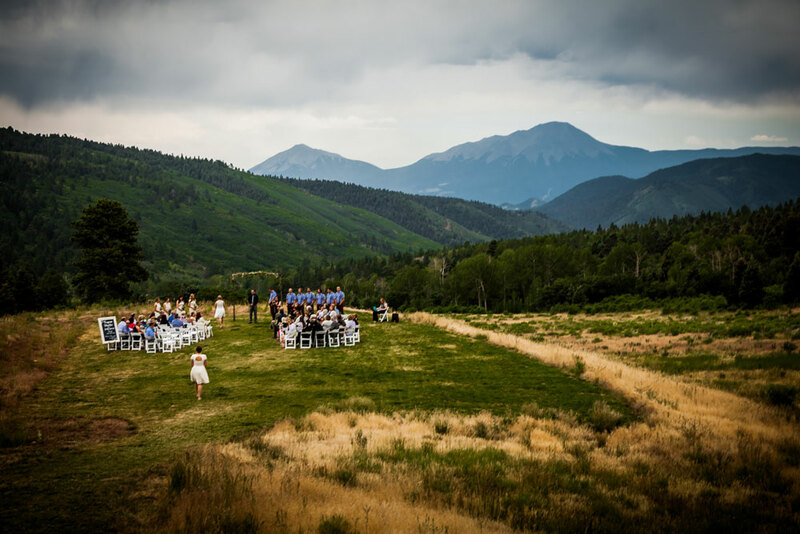 We have always loved the mountains, especially in Colorado so, we decided on a mountain wedding in Colorado. 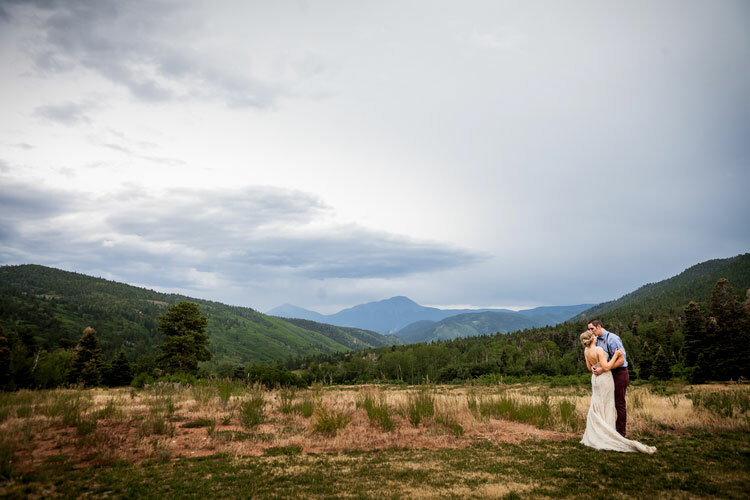 This allowed us to get married with the perfect backdrop – pure nature – and keep our guest list small. 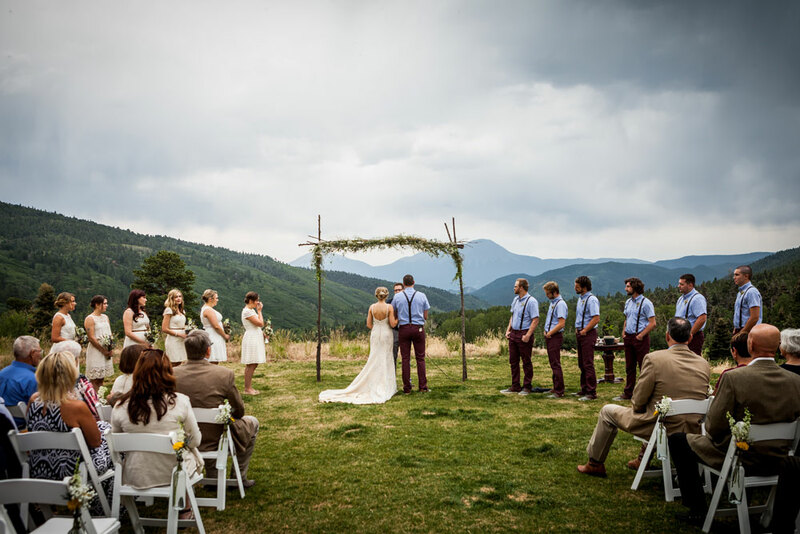 Our wedding felt like a vintage-mixed-with-nature fantastically fun family get-together. 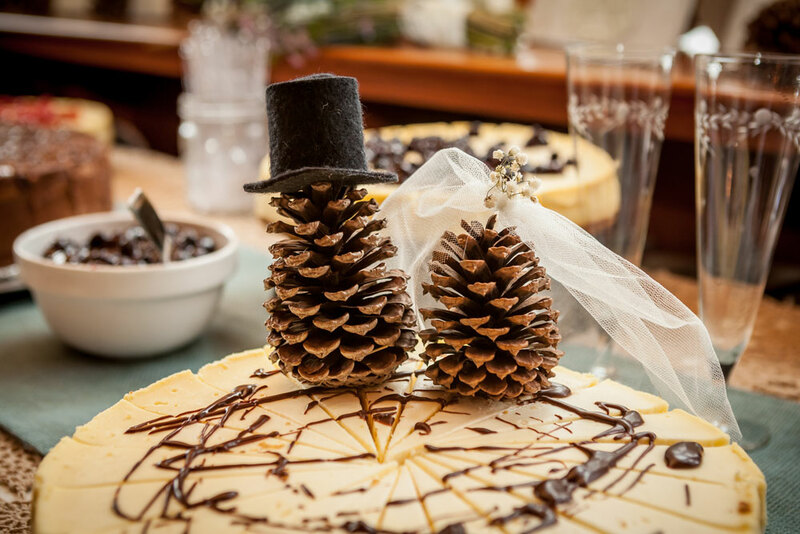 To us, it was the perfect mixture of elegance and ease. 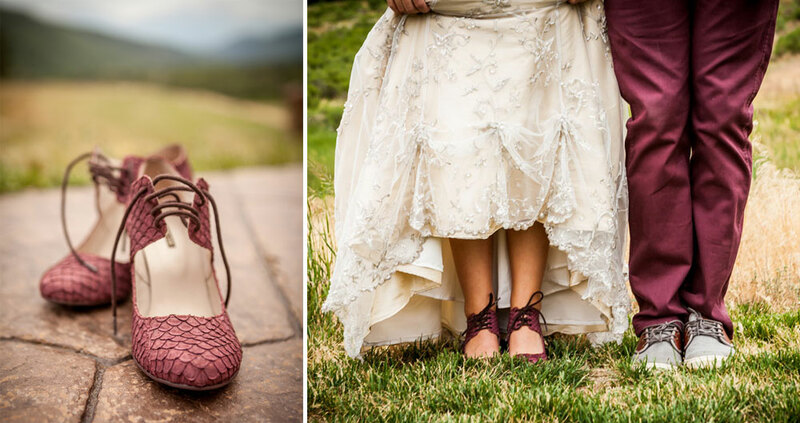 My shoes from Anthropology were the first purchase for the wedding and this is where our wedding style inspiration stemmed from. They had a funky vintage style and I’ve always loved that feel, so when I found my dress (Mori Lee), it was a perfect fit for that style. They led me to the resulting colors we incorporated and so much more. 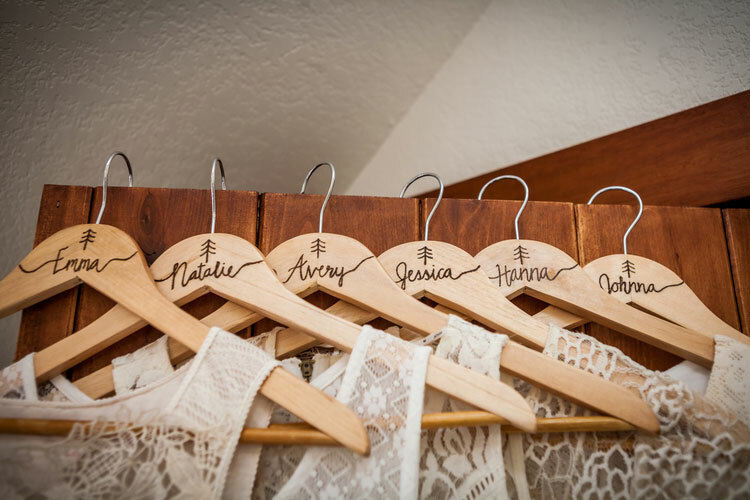 I used a wood burner to write each of the bridesmaids names and the date on the dress hangers. 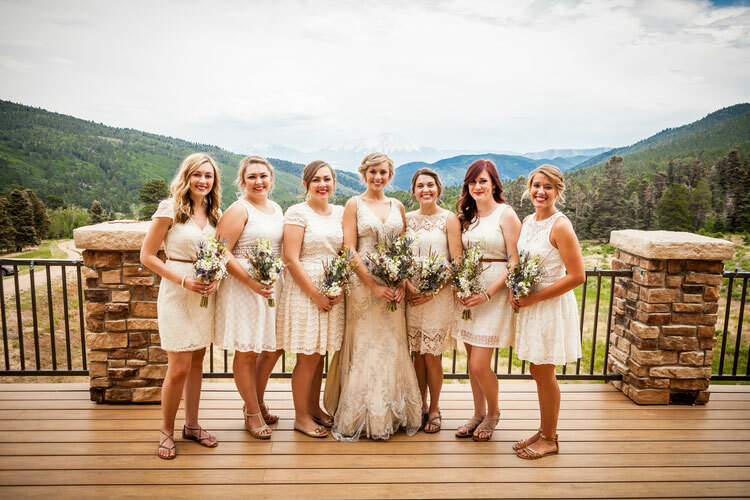 The bridesmaids all picked out their own dresses in a neutral cream. We decided to write our own vows to really personalize them for our marriage to each other. We also “planted” an oak tree together instead of the unity candle. We will plant it at the first home we buy (it’s still growing strong!) and watch it grow as we do together. 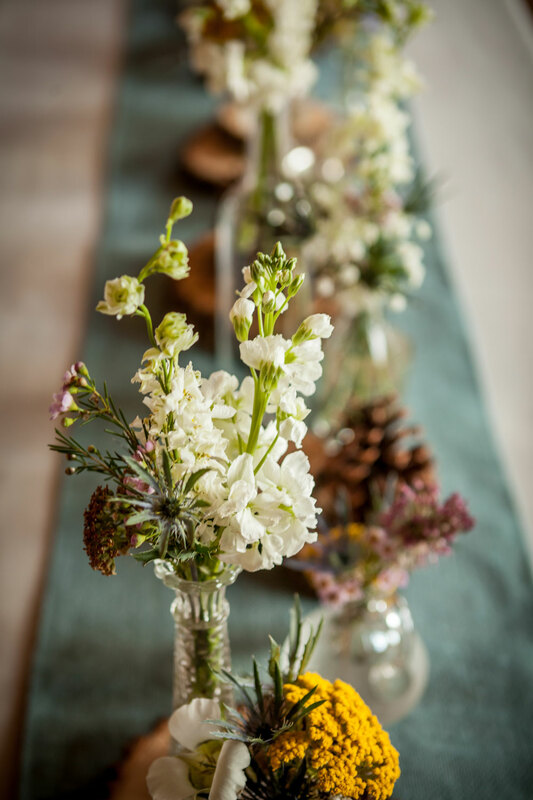 For months, my mom and I went to shops, estate sales, and thrift stores to collect all of the unique, mix-matched glassware we used for the flowers on tables. We made all of the table runners out of dusty blue burlap we purchased at hobby lobby. My advice: The absolute hardest thing to keep in perspective while engaged is that it’s really not at all about planning a wedding. 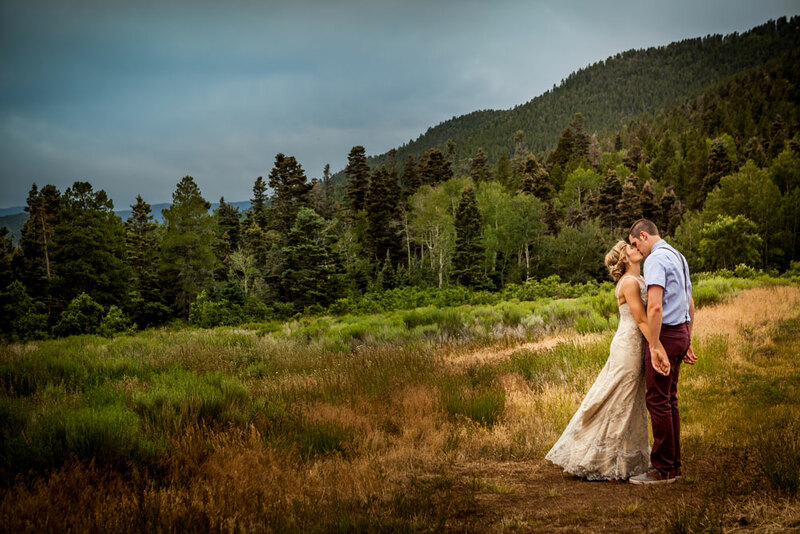 It’s really about preparing for marriage – a whole new life together. Don’t forget to focus on each other and building your relationship as a couple while in the midst of wedding planning madness. The wedding only lasts a day, but your marriage is for life.